This Metallic Gray stove paint by Stovebright, will help keep your stove looking its long-lasting, absolute best. 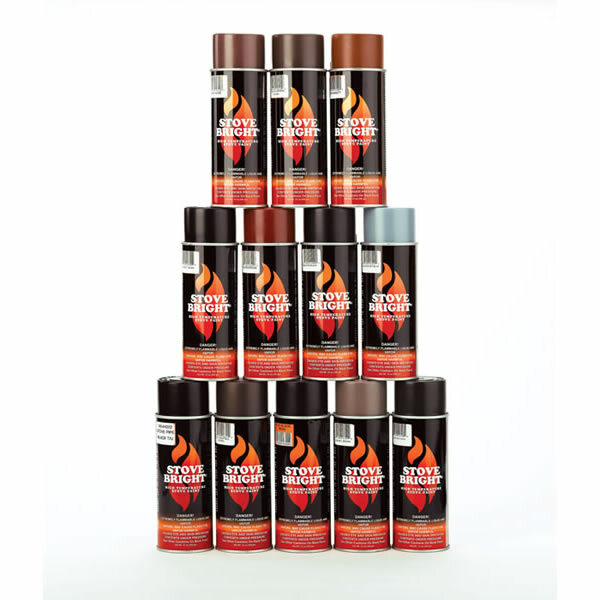 This paint is designed for painting and protecting high temperature stoves and also touches up worn, chipped, scratched, or heat bleached areas. This paint dries fast, holds its color up to 1200 degrees, and is and easy to apply. 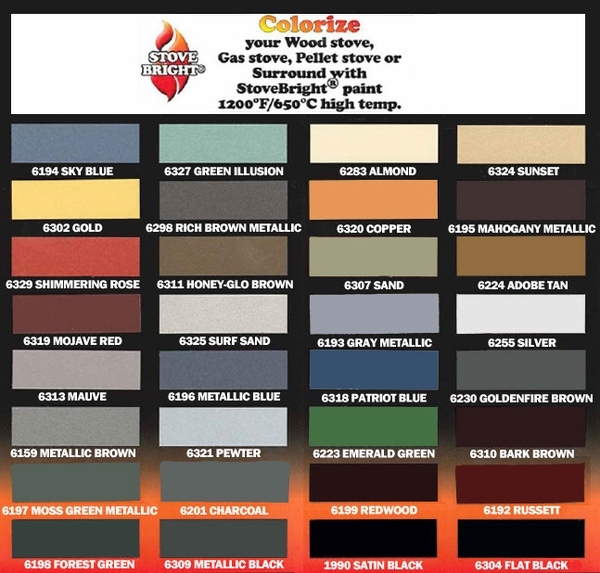 Keeping your stove maintained with this paint will lengthen the life of your appliance and the Stove Bright company makes available the paint in a variety of colors to either closely match your current color, or to give your stove a color upgrade. Can I use this paint inside the fireplace? This paint can be used inside of a gas fireplace, but I do not recommend using it in a wood burning model. Direct exposure to flame will cause the paint to bleach. Was easy to use and the results were great ! !